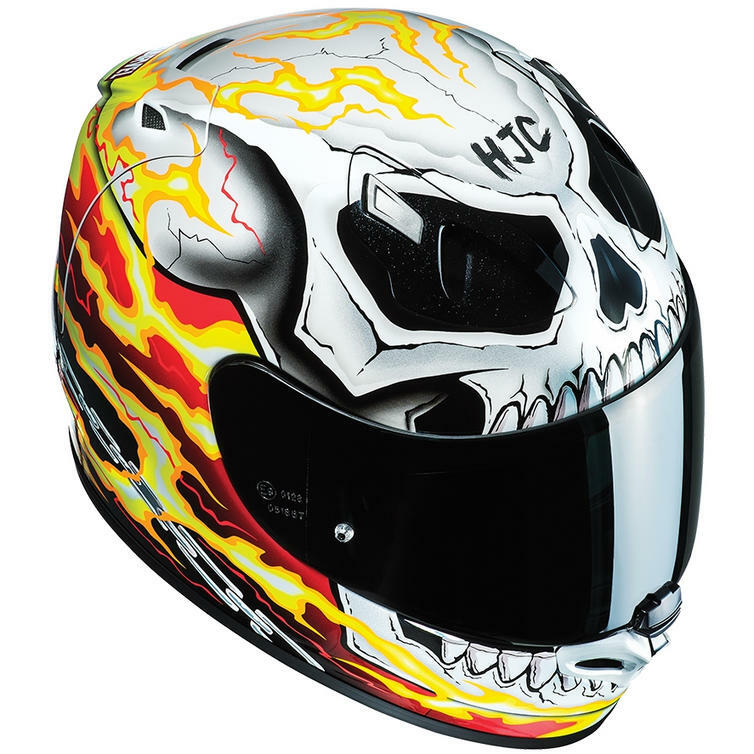 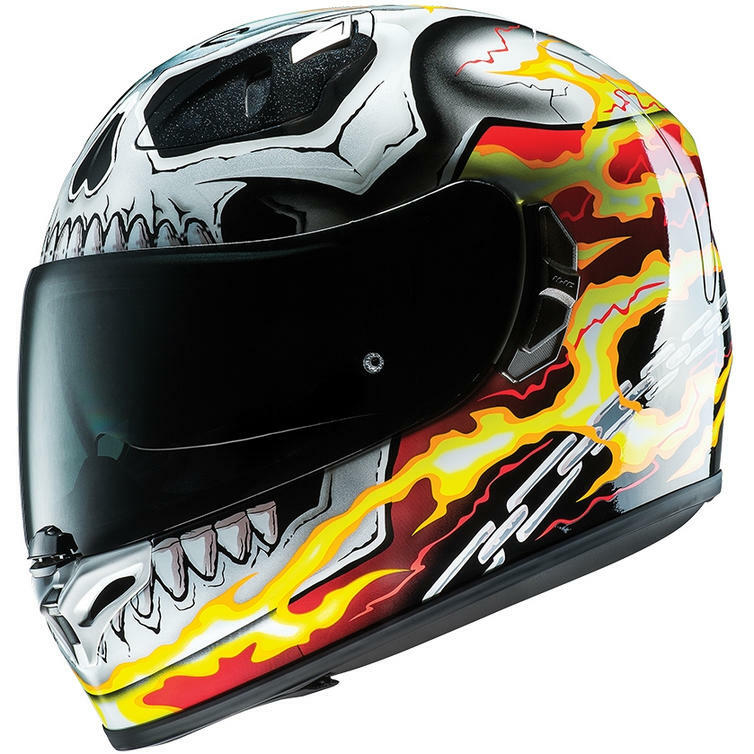 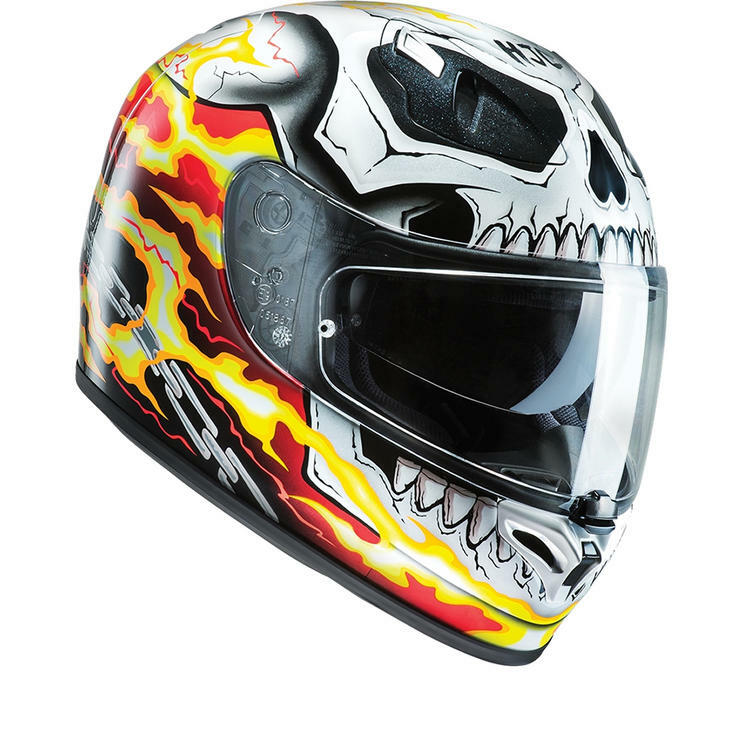 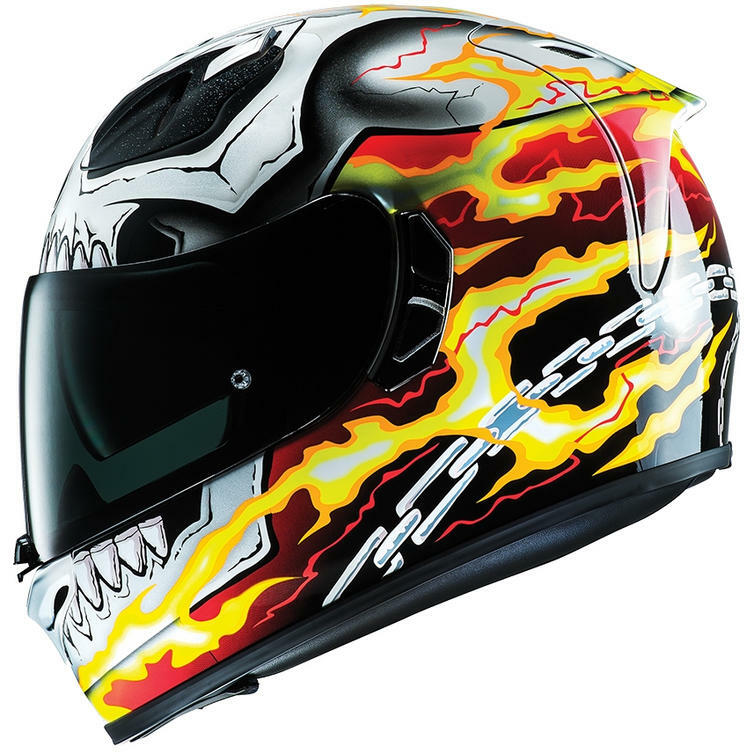 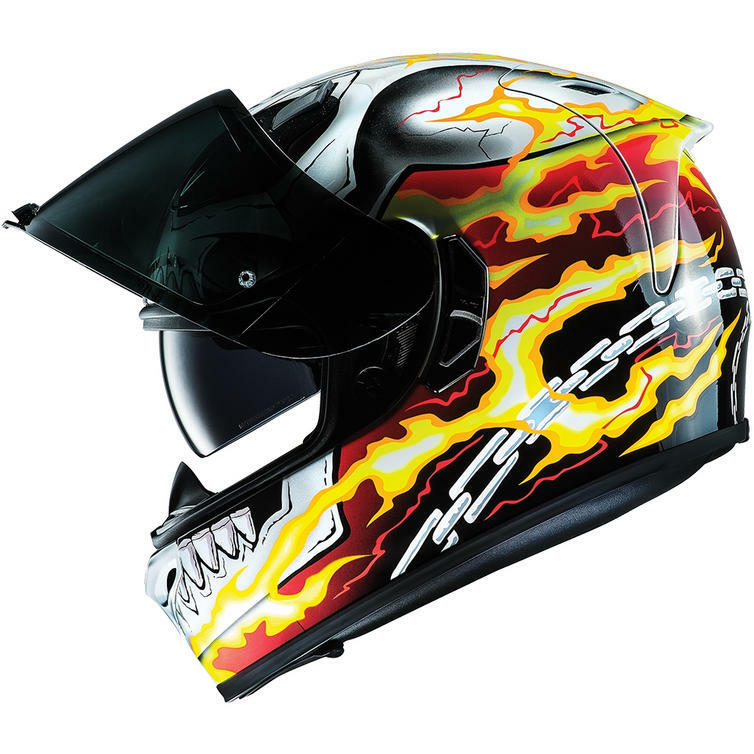 The HJC FG-ST Ghost Rider Motorcycle Helmet is part of the latest HJC collection. 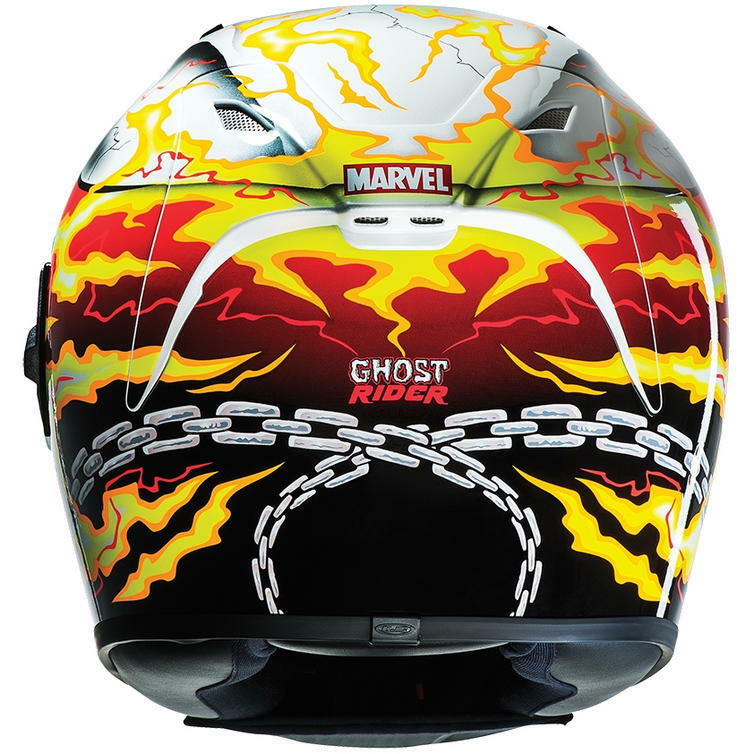 Marvel's Ghost Rider compliments the other character designs in the HJC range. 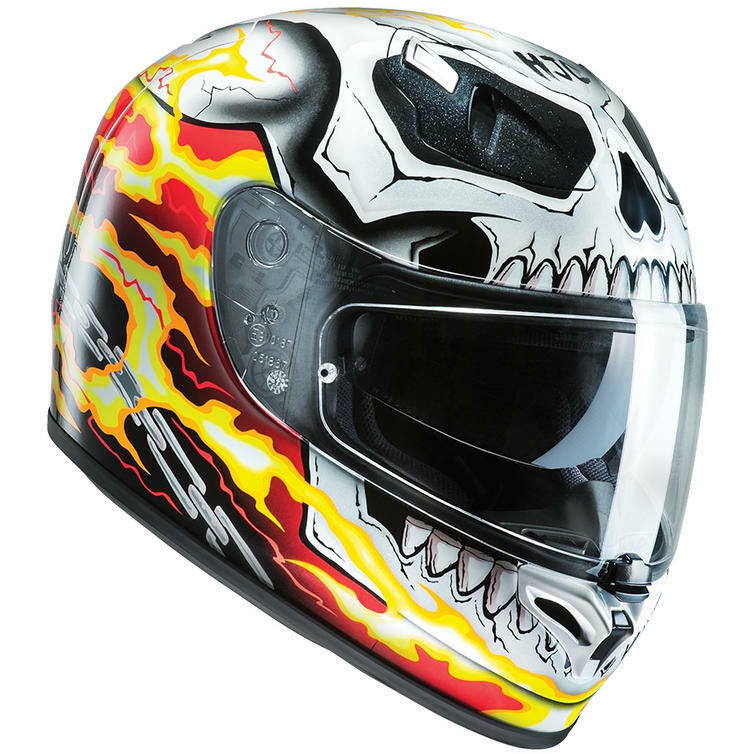 Johnny Blaze was a stunt rider who, to save his father's life, had to sell his soul to Satan! 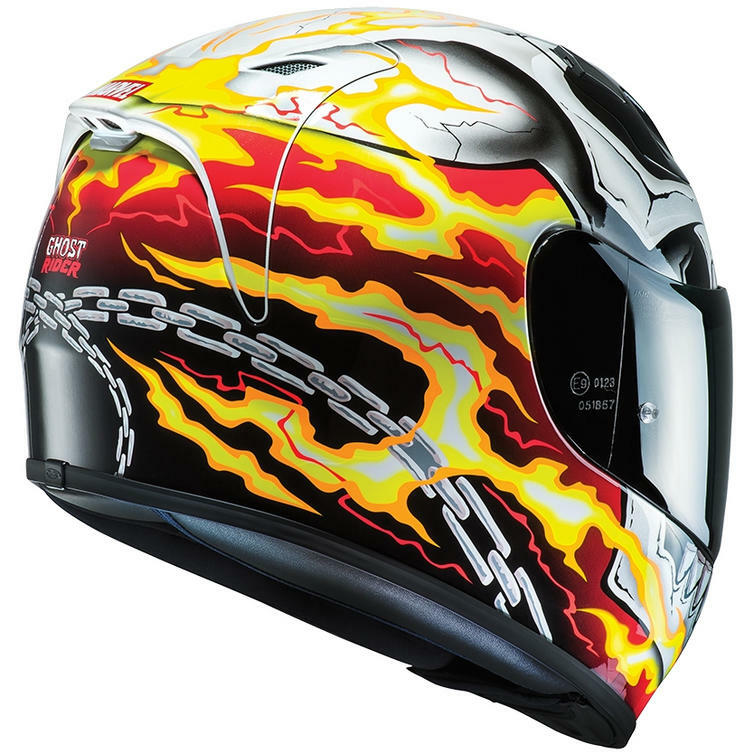 As Ghost Rider, he used his motorcycle to reap revenge on sinners in the world. 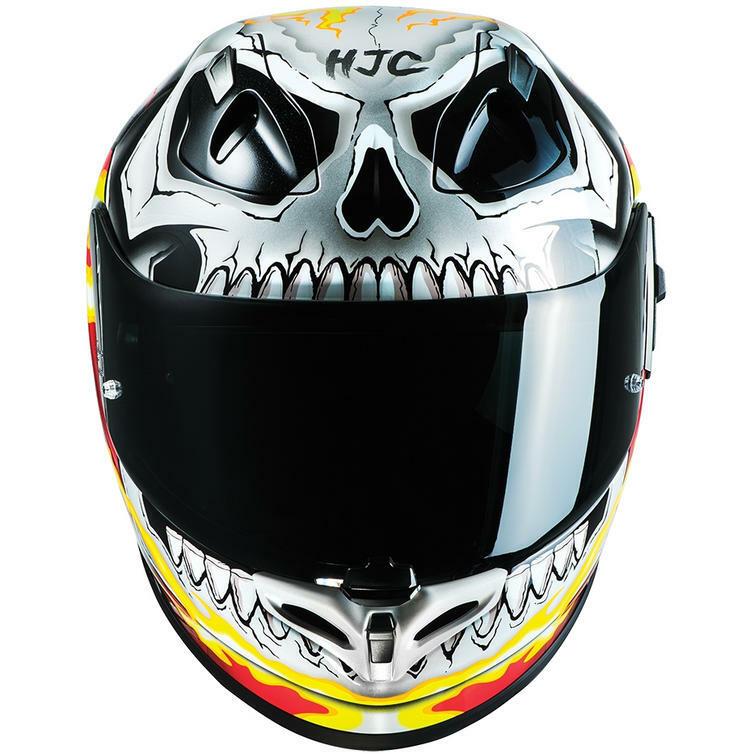 View all HJC Full Face Motorbike Helmets. View all Full Face Motorcycle Helmets.